Emsisoft, the Austrian anti-malware vendor has recently released v7 of their flag-ship product Emsisoft Antimalware. 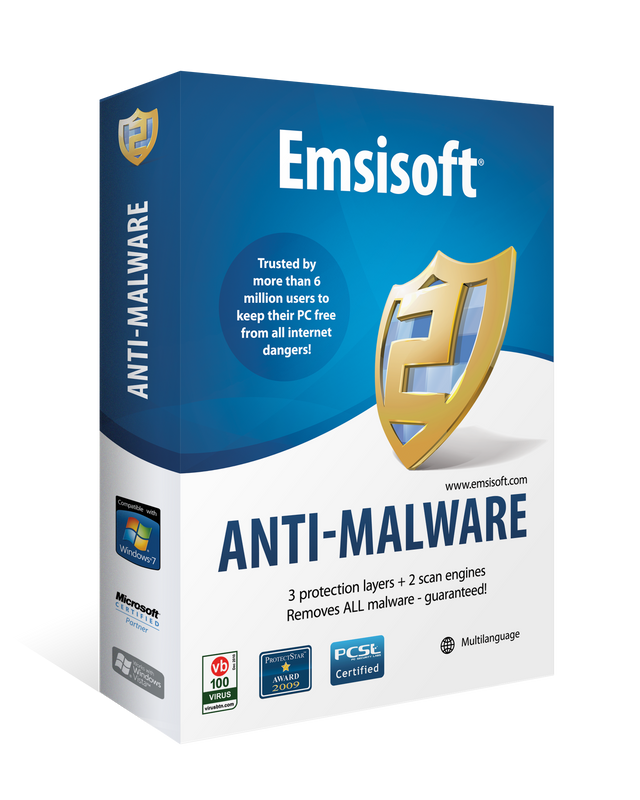 I have previously wrote a few articles on Emsisoft Anti-malware and Emsisoft Emergency Kit previously and so I won’t again be writing on the same topic. I will just highlight the major changes in the software in the latest version. 1) File guard consisting of a dual engine scanner. 2) Behavior blocker that is developed since 2003. 3) Surf protection which prevents users from accessing malicious websites. 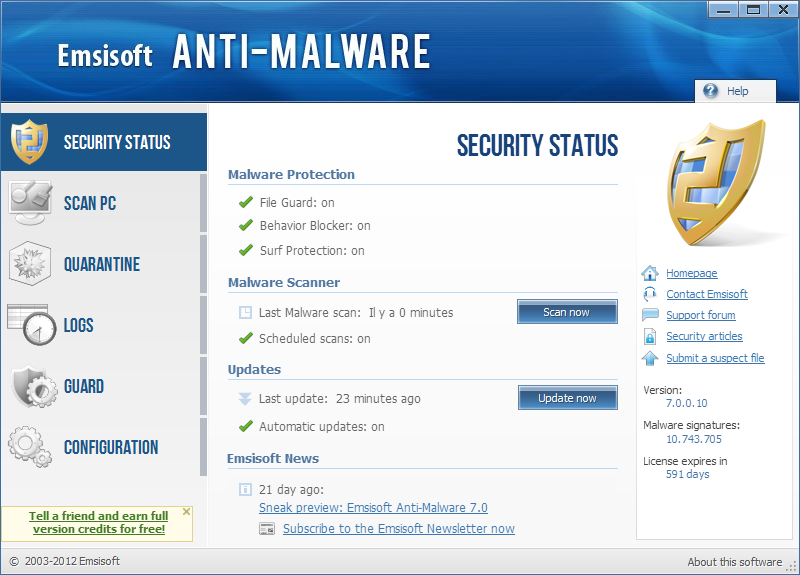 Emsisoft became a full-fledged anti-malware after Ikarus engine had been added to it in v4 of the product in 2008. Ikarus engine had been unknown to us since then except at Virustotal. I was at that time a very basic computer user and frequently got infected for doing various dangerous activities. The dual engine had saved my computer few many times from the infection of Brontok, Sohanad worms etc. All these made me a great fan of Emsisoft Antimalware, used to known as A-Squared Antimalware. A range of changes had been made to the engine since then. In spite of the efficiencies of the Ikarus engines and number of fallbacks were there too, notably False Positive and Update issues. False positives had been a issue that had restricted me from using this anti-malware as the main security application. This had been improved with time and now the engine is relatively better at dealing with new executable. Nevertheless, detection was excellent always. Update issues was a concern for using Emsisoft as an on-demand scanner. The incremental update of the Ikarus engine gets discontinued if not updated in less than a week. So, you will end you downloading the full database (>100 Mb) to run a on-demand scanner every time. This is a painstaking job for limited bandwidth, slow connection users. So, its a relieving news than Emsisoft finally have switched their second scan engine from Ikarus to Bitdefender, a much reliable name in all respect. With all due respects to Bitdefender engines, I am somewhat unhappy with this decision. I would have preferred some other engine. Bitdefender engine is being licensed by so many companies and so it is a growing concern that malware authors will try to target and hijack their engine. Also, Emsisoft had been a choice of on-demand scanner since no other on-demand scanner provide Ikarus engine.Bitdefender engine had been on the other hand is in a number of on-demand scanners too. Its obvious that Emsisoft tool will be the ‘best’ among all. Anyway Emsisoft must have addressed all long questioned issues with the new switchover. The concern just mentioned is only my own and you may not influenced by any. Completely new second scan engine (B) for the dual engine scanner with even more efficient scans and a better detection rate according to Virus Bulletin. Significantly less false alerts as they were usually caused by the old B engine. 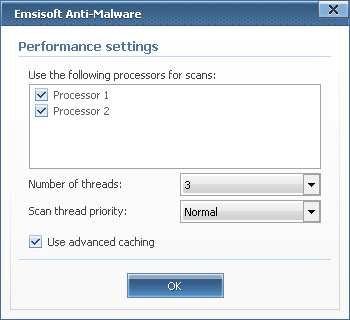 Optimized malware cleaning making it possible to restore registry entries that were affected by malware. Improved real-time protection performance through the use of advanced caching. A new options interface offers individual settings depending on the computer’s speed. New surf protection database added with hourly updates for Malware, Phishing and Privacy Risk hosts. Faster online updates via small incremental downloads. Updates are ready for use without delay, closing even the smallest window of opportunity for zero-day malware. The software also changed its GUI colors to a blue look. Some of the screenshots will show the same. I hope you will be liking the new version. If you are still missing the old look and old Ikarus engine, please use the Emergency Kit Scanner. It is still in the previous version and is using Ikarus engine.